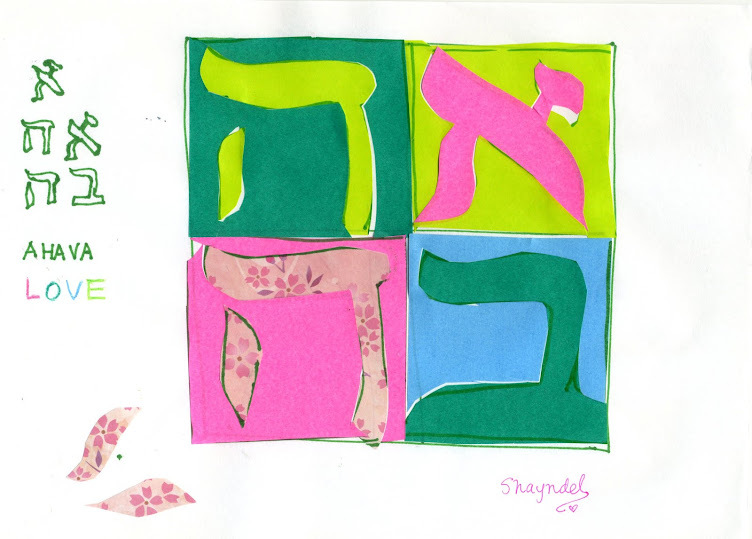 Challah and Cherry Blossoms: Shabbat Rose, Song of Songs, Shabbat Shalom! I had a rose in the flower arrangement this Shabbat. 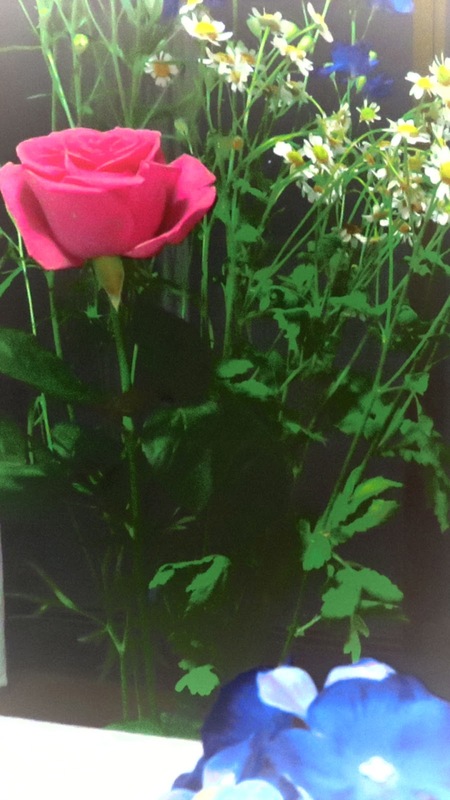 Probably because of that, I kept noticing the word `rose` as I was reading the Song of Songs to welcome the Shabbat. 1. I am but a rose of Sharon, even an ever-fresh rose of the valleys. 2. Like the rose maintaining its beauty among the thorns, so is My faithful beloved among the nations. 3. (a) Like an apple tree among the trees of the forest, so is my lover among the sons. (b) In His shade I delighted and there I sat, and the fruit of His Torah was sweet to my palate. 4. He brought me to the chamber of Torah delights and clustered my encampments about Him in Love. 5. I say to Him, "Sustain me in exile with dainty cakes, spread fragrant apples about me to comfort my dispersion---for bereft of Your presence, I am sick with love." 6. With memories of His loving support in the Desert, of His left hand under my head of His right hand enveloping me. 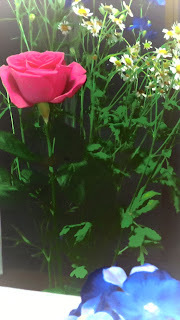 When I read them this time, first I noticed the roses because of the roses, and then connected to the timing we are in of of entering the book of Numbers and approaching the Holiday of Shavuot. The references to Torah, and to the time young Israel was in the Desert, clustered about in "encampments", is just what we are reading this Shabbat in the book of Numbers! Today is the 46th day of counting the Omer. This Shabbat we begin the Book of Numbers, Bamidbar (see list of weekly readings at right sidebar). Just 4 more days to Shavuot, counting!! As the Song of Songs is a love story between God and His people, may each day of our lives be a love song declaring our Love to our Creator, and expressing all the depths of our hearts to Him in every thing we do. May He know how our heartstrings yearn for His presence in our lives. May we together, from every nation and every tribe, seek His Salvation, hear His call and return to Him! I like roses, I like candles, I like Shabbath and the various holidays, but not in the religious sense, more as a tradition. Hi Duta, Thank you for visiting and sharing. I am glad you enjoy the roses and the candles and Shabbat! Shavu`a Tov! Have a great week!